The birds in this heterogeneous family spend most of their time on the ground, but apart from their shared adaptations to this mode of life, they have few other obvious links. 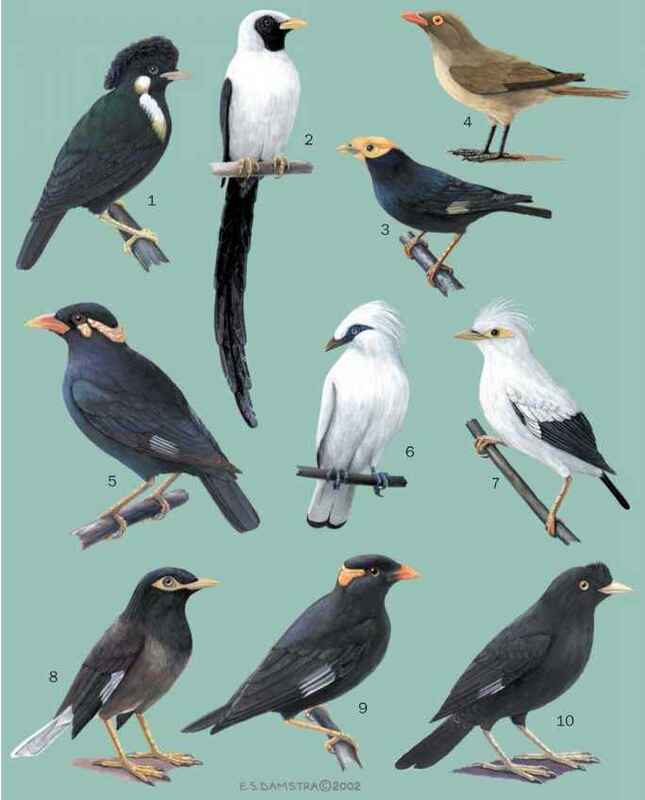 Once included with the Old World babblers (Timaliidae), they have been recognized as components of the autochthonous Aus-tralo-Papuan songbird assemblage; whether they constitute a natural group, however, is debatable. The affinities of the various genera within this family are puzzling, and it may be that this group is largely a convenient "catch-all" category. The logrunners were formerly included in this family, with the name Orthonychidae being applicable. With the segregation of the logrunners in their own family, the available name becomes Eupetidae, which has priority over the more commonly used Cinclosomatidae. There are 16-19 species, divided among seven genera. There are five species of quail-thrushes (Cinclosoma); with several of the distinct populations sometimes treated as separate species. The three to four jewel-babblers (Ptilorrhoa) resemble quail-thrushes except for the color. Although they were once placed in the same genus as the rail-babbler (Eupetes macrocerus), the latter species is a distinctive bird of uncer tain affinities. The genus Psophodes comprises four to five species of Australian whipbirds and wedgebills. The two species of wedgebill are so similar in appearance and behavior that their distinctness, exhibited most notably in their songs, remained unappreciated for many years. The Papuan whipbird (Androphobus viridis) has not been studied but its relationships may lie with the Australian whipbirds. There are two species in the genus Melampitta; the lesser melampitta (M. lugubris) has been arguably placed with the birds of paradise (Paradisaeidae) by some authorities. The blue-capped ifrit (Ifrita kowaldi) looks and acts different from other members of the family. Some aspects of its skull morphology resemble those of the whistlers (Pachycephalidae).